This entry was posted on May 3, 2011 by Russell Smith. 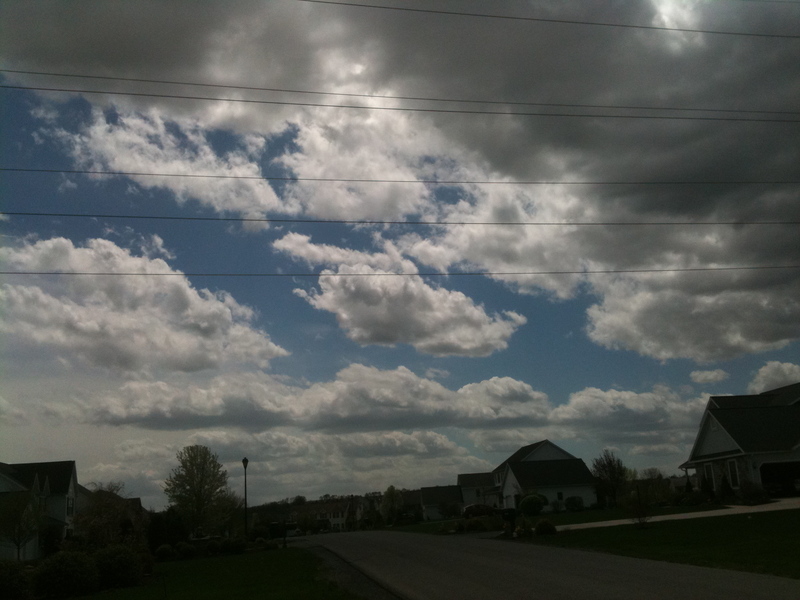 It was filed under Rural, Sky and was tagged with blue skies, clouds, Pennsylvania, postaday2011. Beautiful – big sky country! I love the big open sky here in PA. I just wish there were fewer power lines. But this picture makes me think of a music staff. Like the clouds are dancing to music. What do you think? What a lovely observation, Mimi! Thank you for all your support! I think the clouds dance too. We put our imagination into them and the result is beautiful. Always beautiful.